Small perennial with golden, strap-shaped leaves. 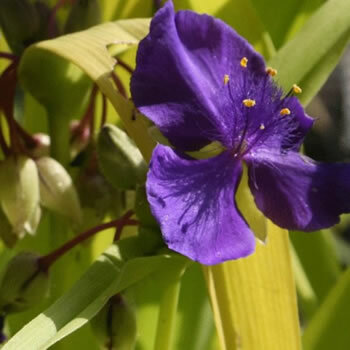 From late spring to autumn, it bears three-petalled, violet-blue flowers with yellow stamens. Evergreen. Hardy.